As a WSET Diploma graduate with an MBA in Wine Business Management and now finishing the last stages of his Master of Wine, Tim Triptree has put education at the forefront throughout his career. Here, he talks to us about the journey to his role as International Director of Christie’s and Senior Specialist in the Wine Department. I was studying Spanish in Mendoza, Argentina and became interested in wine after visiting many bodegas and drinking a fair amount of Malbec (with steak of course!). I did a brief sommelier course in Argentina before returning to the UK to do an MBA in wine. 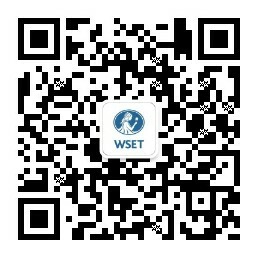 With an MBA in Wine Business Management under your belt, what led you to continue your education with the WSET Diploma? The MBA was focused on the business of wine and so I wanted to learn more about the different wines from around the world and tasting and appreciating wines. I did the WSET advanced certificate (now WSET Level 3 Award in Wines) and followed that with the Diploma, managing to win two scholarships along the way which involved wonderful wine trips to Jerez and New Zealand. There are more similarities than differences between the UK and Asia. WSET was invaluable in allowing me to gain knowledge of the diverse wines and spirits from around the world. It was also a key stepping stone to get onto the Master of Wine course, which I am currently aiming for. Whilst seconded to Christie’s Hong Kong, what did you learn about the Asian wine market and how it differs from the UK? I learnt many things about the Asian market, which is a key driving force for the global fine wine auction market. I was impressed by the enthusiasm and level of wine knowledge in Asia. I was amazed (and delighted) to see how many great bottles of wine are opened and enjoyed which is fantastic to see (and participate in!) from a wine lover’s perspective. The rise of Burgundy was driven by Asia and this shows no signs of abating. Certain wines sell better in Asia (such as top Burgundy) whereas others sell better in the UK (such as Port and Madeira). There are more similarities than differences between the UK and Asia; the fine wine market is a truly global market nowadays. Tim Triptree DipWSET is a WSET Alumni and as well as a Master of Wine candidate. What has been your most memorable sale at Christie’s? There have been many memorable sales at Christie’s, particularly those that are 100% sold (called a white glove sale) such as the recent Comtes Georges de Vogüé sale in May 2018 in Hong Kong, but the most memorable was the auction “Historic Vintages Direct from the Cellars of Bouchard Père & Fils” in September 2016 with intense competitive bidding resulting in amazing prices for extremely rare Burgundy (one bottle of Chambertin 1865 selling for US $40,000 and a Montrachet 1865 selling for US$25,000). A highlight was tasting a Bouchard Meursault-Charmes 1846 a few nights before the auction – an amazing wine! Follow Tim on Twitter or connect with him on LinkedIn.